Manwaring Moments: Back to the ol' grind. We're back home and already listening to the fighting, waking up 90 times during the night, wondering what to make for dinner, cleaning mess after mess, and all the things that come along with family life. But, I am grateful to be home and be with my kids. When we got home, Kate wouldn't even look at me and cried when I would take her from my mom. Broke my heart! But as the day went on, she forgave me for leaving her and now won't let me out of her sight. She freaks out if I even go into the bathroom without her. She's not going to let me pull this stunt on her again. I don't know if the other kids were more excited to see Mom and Dad or to get their souvenirs. They've had fun playing with all the goodies we brought home. I am finally tan enough to really look like Kate's mother. She looks like a real Polynesian in her little grass skirt. It's adorable. Alyssa refuses to even try on her coconut bra. :) But she does have some pretty good hip action. Here's the cutest little ukulele player on the planet. He LOVES the ukulele and outfit we brought him. He WON'T let me take the outfit off. He even slept in it. It's pretty cute. What a great time we had! Our favorite stops were Kona, Kauai, and Oahu. All great places to take the kids and go back!! Hope we get there again someday. ADORABLE! The girls look so cute in their little grass skirts, and of course, Halle's coconut bra, hilarious. Carter is the cutest little ukelele player ever. Holy cow-- I am way behind on the blogging! I love souvenirs-- no trip is complete without them. And now you have your own little luau right at home! Welcome back! 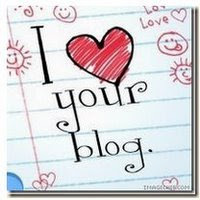 It's good to see you blogging again! :) You know, I think I was about Kate's age when my parents went to Hawaii without me and they tell me I acted the EXACT same way Kate did with you. I guess it's pretty confusing at that age.